How's this whole minimalism thing going? Glad you asked. The first time I realized this whole "minimalism thing" was working was when my then-4-year-daughter asked me if she could paint my nails. It was before lunch time. I did not hesitate to say yes. Breakfast dishes were washed, floors were swept, laundry was going in the washer (thanks to new habits and less 'stuff'). The older children were occupied. I was free to say "yes". I was not busy. I know I am not the only person who desires to live more intentionally, to live a more deliberate life. To stop being busy and only reacting to the next thing that comes up and to really and truly make decisions I want to make. Saying yes when the children want to play a game or my now-5 year old wants to paint my nails. What is it you hope for in 2017? A fresh start? Reevaluating the way you spend your time? Your money? Spend more time with your children? Desire to travel? Save money? Pay off debt? 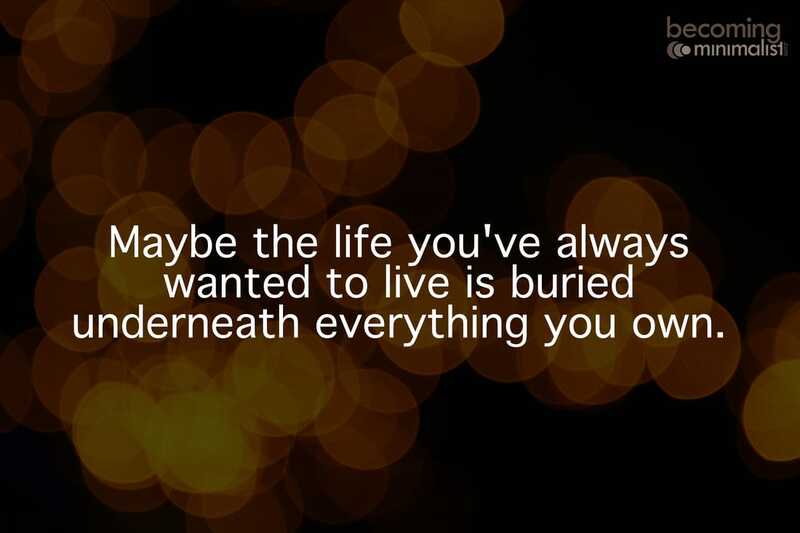 I think Joshua Becker of Becoming Minimalist says it best, "Maybe the life you've always wanted to live is buried underneath everything you own". Since April, we donated/trashed/gave away over 1,000 items. My goal for this year is more than double that. To kick-start our road to more minimal living I participated in the Minimalist Game (or Minsgame). You can read more details on the official page, but here's the low down. You get rid of one item for each day of the month; for example, 1 thing on the 1st, 2 things on the 2nd, and 3 things on the 3rd and so on. All the way through the month. We removed more items from our home that the game suggested... so many that I stopped counting during the 2nd month. ​For this new year I am taking the Decluttering 2017 in 2017 Challenge by Nourishing Minimalism. She has a great chart to download and help you keep track of your progress. (I love her blog! It's one of my favorites.) It's January 1st and I have over 200 items bagged up and ready to leave the house. I'm ready to do this! I hope you'll join me. These are great resources that have helped me on my way. If you are looking for encouragement and want to dig a little deeper into this whole minimalism thing I hope these help. I'll post a bit more frequently here about our journey, some of our new habits, and what our version of minimalism is starting to look like. Most of the harvest is in. Honey has been extracted and is being bottled and sold. Homeschooling is in full swing. We had our second homeschool co-op of the season today. One of my classes this year is Michigan Plants for ages 9 and up (most of the students fall into the 10-13 range). This is, without a doubt, the funnest class I have ever taught! The students are curious, inquisitive, intelligent, kind, funny, and full of enthusiasm. I love these kids. One hour every other week just is not enough time to answer their questions. Our class is focusing on local edible and medicinal plants, learning how to 'key out' plants in the field, understanding basic plant families, and learning how to prepare and use some basic herbs. (i.e. infusion, decoction, salve, infused oil, compresses, poultices, and more). While no books were required for the class, I have a number of students who are quite interested in the field of botany (with the emphasis I mentioned above). I suggested these field guides that I use and love and thought others might be interested, as well. *Newcombs Wildflower Guide:I have the older version of this wildflower guide. It's one of the best. My copy is well worn, I started using in while in college (years ago!). *Peterson's guide to Medicinal Plants of Eastern and Central America: You cannot go wrong with Peterson's Field Guides. Again, this is useful in know which plant can be used... but I there are better herbal guides in helping you know what to use and how to use it (prepare it, dosages, etc). The photos in both Peterson's guides are very helpful. Since planning and beginning this class with our local homeschool students I have gotten quite a bit of feedback from interested adults and parents. I am considering running a similar program for adults (and interested teens/pre-teens). IF I decide to commit to this, it would run one Saturday a month from April til September. (for example, the second Saturday of each month for 3 hours each session) Would you be interested in attending a program like this? If so, let me know. The kids are loud. The dogs are barking. *ding* Another text. *ring, ring* a Facebook message. Lunch is late, we're behind on school work. The dishes are piling up. No idea what dinner is tonight. Does this sound familiar? All the noise, mess, distraction. Cluttering up our day and distracting us from the important things. the Hebrew word (rapha) for 'be still' in psalm 46:10 can be rendered “to cause yourself to surrender, give up, to be made weak”. All for the purpose of knowing that God is in control. How often do we fight for control rather than surrender? As an herbalist and Christian I believe that God is in control. As the creator, he knows us intimately; our bodies, our dis-ease, our illness, and how best we can be healed. Our family has been making a conscious effort to slow down these past few months. That means saying "no" to new obligations that keep us out late, away from home often, or conflict with our family time. I have taken time-sucking apps off my phone and turned off notifications for just about everything. I even changed my notification alert to a bird sound instead of something jarring and urgent. For the past year and half I have been enamored with minimalism. The idea of owning less stuff in order to have more life. If you are like me, you feel owned by your belongings. Cleaning, organizing, shopping, etc. The stress of overflowing toys the kids don't actually play with... kitchen tools we never use but promised to make our lives easier... technology that breaks and must be replaced. Ugh. I threaten to rent a dumpster and pitch it all. Or move and leave it all behind. But let's face it, that wouldn't fix things. The cycle of being discontent and engaging in consumerism to solve our problems is the actual problem. It is a heart problem. Things don't make us happy. A real relationship with God and with others brings us true joy. Relationships cannot be replaced by a new couch, better car, or the latest iPhone and deep down we all know it. How I've been adding minimalism, subtracting belongings, and increasing joy in our home. I have just started cracking down on the toys. I took a live e-course about purging children's toys. It was suggested to keep 20-50 toys. So far, I have bagged well over 100 toys and still have more to go! For this first go-through we allowed the kids to keep 50-70 toys. Legos, beyblades, pokemon cards, card and board games, dress up clothes, and art items not included. I've only just scratched the surface on this one! I have purged most of my books this past year. Here's what I have kept: field guides, herbals, holistic health references, Bibles, Greek and Hebrew Keyword study, a few select Bible studies, A couple favorite authors (4 or 5?) that I re-read on a yearly basis. I still need to sort kids books (again). We eliminated 2 boxes of their books last year. It's tough for homeschoolers. We want to keep everything we might use for school. I've been selling old curriculum and buying what I need for next year. Our school books and binders only take up 2 shelves. It could be worse. In two words: food allergies. 'Safe' food for our family can be hard to come by and I cook everything (and I mean everything) from scratch. I buy in bulk, shopping a few times a year at a Mennonite store an hour away. We have a large garden and a greenhouse. We raise meat chickens and own a bee farm. We buy grass fed beef from a local farm. I barter for venison. Food and the way it is raised is important to us. I gave up complaining for Lent this year. Not my choice! Through much prayer it was the Lord's decision. I wanted something easy, like giving up chocolate. ;) As the 40 days progressed, I realized something. I hadn't actually given up anything, rather, I started doing something new. Not complaining is really about showing grace. Showing grace to others and showing grace to myself (which feels like the more difficult of the two). God is still growing me in ways I didn't quite expect. (this could be an entire blog post by itself!) Showing grace is definitely a way to increase joy in your life. To be honest, I'm still overwhelmed by stuff. But I've found a way to get rid of things and make it fun. (details in a minute) I feel a sense of relief in clearing out this unwanted and unneeded clutter from our home. I long to spend less time managing our belongings and more time engaging in relationship with those we love. Clearing clutter from our homes and our hearts. Finding what's important. A few of my favorite Minimalist blogs to inspire you! I'm considered writing this post many times, unsure if it would actually be helpful for others. I hope it is. Beginning in December of 2014, I stopped making excuses and started working out again. Our treadmill had been broken for a year and I was desperate to walk, and run, and move. As a stay at home, work at home,homeschooling mom... alone time or free time to work out uninterrupted is rare (or impossible!). The children aren't at an age where I feel comfortable leaving them to go for a walk... and taking them along isn't always an option. But we have a large-ish yard. With my Run Keeper app, I was able to figure out that approximately 7 laps around the main part of the yard is a mile. So there you go. No excuses. Even if I'm out in the back I can hear the kids yell from the house. They can have breakfast, start schoolwork, get dressed, etc while I walk. (or sometimes run. Or both. whatever) Going was slow in the colder, snowy months. To further improve my health, I gave up all sugar for Lent (40 days).Come June, though, I was up to 10 miles a week and had added in yoga and squats a few days a weeks. The kids began following my example and got moving. I would say, "Hey, I'm walking. Join me if you want." But that was it. After a while, they'd hop on their bikes and follow me (and pass me!). Just by watching my example, they were encouraged. We started seeing a new nurse practitioner in late August. She came highly recommended by like-minded friends. Friends who where seeking answers, looking for the causes of their illnesses (this practice is often referred to as functional medicine). They didn't just want to continue treating symptoms. (which is how many physicians of western medicine are trained). She immediately tested me for food allergies, food sensitivities, candida overgrowth, Lyme Disease, and rheumatoid arthritis. The RA came back negative (I am thankful for that!). I found that I have food allergies to eggs and peanuts (two things I would eat ALL the time!). I have sensitivities and react strongly (and negatively) to dairy, wheat, gluten, apples, bananas, and beef. Even after a month+ of following an elimination diet, I cannot eat apples or bananas without triggering an immediate day-long migraine. (bummer) During the elimination diet I mistakenly ate beef (good grassfed beef from the quarter freezer beef we ordered this year) and I had a 4 day migraine. Ugh. So, I'm learning. If I'm feeling well and having a good series of days, I may be able to tolerate a small amount of beef. But only maybe. I also I had a candida overgrowth. Candida is naturally occurring in the human body but can run rampant due to antibiotic overuse and a diet of consistent sugar and starches. I haven't had an antibiotic in 4 years (since just after the birth of our youngest). The test results showed an old, lingering infection and not a new, raging infection. That made it easier to treat. I thought we ate pretty clean until I had to keep up with an 30 day anti-candida and elimination diet! I eat lots of nuts (safe ones), seeds, fruit, leafy greens, healthy meats and fats, limited grains and starches (grains aren't all bad...but in our family we have allergies to: rice, corn, wheat... and sensitivities to all gluten-containing grains). We now enjoy millet, amaranth, sorghum, quinoa. Some of us still eat rice occasionally. I lost between 15-20 pounds since my heaviest this summer. It makes a big difference when your body isn't attacking the foods you eat! Also, if you have a candida overgrowth (and with American diets, it is very common!) the candida is fed first... then you get what is left over. If you are working out hard (like I was) your body goes into a sort of starvation-preservation mode. It is holding on to anything it can! It thinks I'm starving (since the candida is eating and I'm not) and I'm walking/running miles a week and my body thought I needed all these extra fat stores. I assure you, I did NOT. My Lyme Disease tests weren't negative. But they aren't positive either. Lyme's is weird like that. It mimics and hides. So it's something we're keeping an eye on. I was later tested for Lupus and thyroid conditions (all negative). Finally, I was tested for and diagnosed with an MTHFR DNA mutation. There are many good informational pages out there regarding this mutation and all it means. It the most simple terms, my body cannot detox on it's own. The enzyme that converts folic acid (B vitamins from leafy green veggies) into a usable form is broken and only works at about 70%. (others with multiple mutations may only be working at closer to 20%) Supplementing with a L-methylfolate and other appropriate supplements is a must. My body simply cannot function well on its own. It's best to get folate from your diet - leaf green veggies, NOT folic acid in 'fortified' foods. A clean diet, a lifestyle free of chemical expose and toxins is a must (no commercial cleaners or perfumes or candles. no microwaving things in plastic. although nobody should do that! and we don't even own a microwave). Physical, mental, and emotional stress also needs to be managed. (walking without overdoing it, yoga, morning Bible studies, prayer, epsom salt baths a few days a week, not stressing over how much I can't do and be thankful for what I can do.) I'm getting healthier. I'm feeling better. It'll be two steps forward and one step back. I can heal (and I will!) but it'll take time. Photo from June with our youngest. Photo from November with our youngest (again). She really likes selfies with mom! Such a ham. Over the past few months, we've had multiple people in our family diagnosed with food allergies. At this time we are VERY fortunate to have never experienced anaphylactic reactions... but there had been a marked increase in symptoms and reactions and it was time to do something. You can't mess around with food allergies. Finding meals we can eat as a family has been difficult. Since we're finally finding some dishes we can agree on and free from any allergens (any of our allergens, anyway) I thought I'd share it here since so many friends and family members ask, "What DO you eat??". The corn allergy is the toughest in day-to-day circumstances. Corn-derived ingredients are everywhere. It means no benadryl for allergy sniffles. No paper plates. No baking powder. No powdered sugar. Nothing made with white distilled vinegar. Nothing labeled 'natural flavors'. Gah! Corn is everywhere. The most difficult to deal with in the kitchen is eggs (although there are some great substitutes!) and the grain allergies. We can't grab a gluten-free mix off a shelf because the first ingredient is usually rice flour. The other ingredients are usually xanthan gum (from corn! ), garbanzo (bean) flour, and often almond flour. So, also can't use any 'paleo' recipes. You can only make so many substitutions in a recipe and have it still be recognizable as food! (trust me. we've had some pretty incredible failures here over the past few months) Rather than telling you all about the failures, here are some things that work for us. Appropriate fruits: we do lots of frozen berries because everyone can have them. The rest of us eat larabar copycats (usually rolled into balls). I make multiple batches with appropriate 'safe' nuts for eat of us: they include things like dates, dried cherries, organic cocoa powder, sunflower seeds, almonds or cashews. The batches get labeled in the fridge so nobody eats the wrong ones. Pistachios (or 'pi-cashews' as our youngest calls them!). Sunflower seeds, pumpkin seeds, brazil nuts, etc. Lunch looks a lot like breakfast. Or like leftovers from dinner. No more pb&j in our house. A food the kids never tire of is hummus. Those who can, eat it with organic corn chips; those who cannot, eat it with sweet potato chips. Or veggies. Or a spoon. Meatballs with sauce and salad. The sauce is homemade from the tomatoes I canned from our own garden tomatoes. It cannot include garlic. The meatballs are made with ground pork/chicken/turkey/venison (whatever we have), flax (egg replacement), real salt, oregano. That's about it. ​Whole roast chicken. (these are the chickens we raised this summer) - usually we have salad, peas, broccoli, or cauliflower. I make bone broth after we're finished and the broth is used in soup, rice, quinoa, etc. Soup - usually from the chicken on the second day. We found we really like amaranth in it as a substitute for rice or noodles. Taco night - this one is tricky. I make both beans and meat and we eat what is 'safe' for us. Sorghum tortillas (that I'm still perfecting!) and regular toppings like lettuce, olives, sour cream. Homemade pizza - another tricky one. I have to make individual pizzas. Sorghum tortillas again, homemade sauce (canned sauce has garlic, citric acid that is often corn-derived, sugar which isn't labeled as cane/beet/or corn. bad sauces have soybean oil), cheese if you can have it, olives or mushrooms, leftover sausage from another night or bacon (there are only a few 'safe' brands without corn ingredients). Our youngest only likes to eat the toppings so I don't actually make her a pizza. Beans and rice was a previous favorite of ours. So we modified it to beans and quinoa and that made one little boy very happy! But now someone cannot have beans... so we've been doing rice or quinoa and shrimp. But the kids are getting tired of shrimp. I don't know how. I love shrimp. So, I'm still working on this one. So, you'll notice that there are no chips, cookies, cake. No more popcorn. No more sourdough bread. Lots more fruits and veggies. I admit, it's tough. Especially when you think you were trying so hard to feed your family well. (free ranged chickens in our own backyard. homemade sourdough bread. homegrown popcorn. canning all our own tomatoes, beans, peppers, and jam. eating organic. avoiding soy and other GMO foods.) But it doesn't matter how good or healthy something is if you are allergic. Signs of food issues may include: IBS, diarrhea, constipation, cramps, headaches, rashes like eczema, hives, breathing trouble, asthma, joint pain, sinus congestion, allergic shiners (dark circles under eyes unrelated to sleep), ears that turn red on the tops. If you suspect a food allergy or intolerance, you can do an elimination diet. Keep a food journal and monitor how you feel. After 30 days, add the food back in (slowly!) 1-2 days per week and see how you respond. You or your doctor can order the lab kit from Alletess labs. (I'm sure there are others, but we have personal experience with them) Take note. Most likely, this will not be covered by your health insurance. While we still live in our house on the hill and still make soap... we've outgrown the name! Hilltop Soaps is now Thrive Herbals! We're so much more than just soap! Our line of herbal wellness products continues to grow. Just last month I finally, officially became a certified herbalist. (I am being lazy before throwing myself into my aromatherapist program) While I feel like it's a big personal accomplishment, there are no national standards for herbalist certification or training in the United States... but I know it gives me a solid foundation in western herbalism and traditional and practical uses for herbs. Therein lies my heart; making herbs accessible and their uses familiar so families choose them first. Many of these botanical powerhouses are found in our kitchen cupboards and our backyards! These plants do no heal us, rather, they work with our body by supporting and balancing our body's systems so they can better function. I have a few hopes and plans as we change and grow Thrive Herbals. *I plan to offer more 'take and make' workshops like the salve class we held this summer. I have an idea for a Winter Wellness class. *Backyard herb walks and lectures in the spring. *Herb seeds so you can grow your own and dried herbs. *More custom orders. I'm not sure how many people know, but I often will have customers (mostly friends and relatives) ask if I can make something to suit a need. Whether it's a salve for a special need, an essential oil blend to help with a particular problem. Or maybe to alter a regular product to be safe for their family (like a homeopathic vapor rub using essential oils and dilution rates that are safe for infants age 6 months and up). *Consults. I currently do this on an informal basis with friends and family, those whom I am familiar with their medical history. This may be available in the future. Much thought and prayer have gone into the reworking of the business. Please, have patience with us as we slowly change over labels, the website, signage and more. I hope you are as excited about all the changes as I am! Why magnesium? The mineral magnesium is essential for more than 300 chemical reactions in the human body and is necessary for detoxification. It lowers stress, promotes better sleep, helps the body rid itself of toxins, and more. Studies show that the majority of the population is magnesium deficient. Do any of these conditions sound familiar? Suffer from muscles cramps or spasms? Magnesium loosens tight muscles. Insomniac? Magnesium helps you sleep - melatonin production is disrupted if magnesium is out of balance. If you suffer from anxiety or depression you may be magnesium deficient. Serotonin production is magnesium dependent. Serotonin relaxes your nervous system and helps increase your mood. Migraines, menstrual pain, asthma, fibromyalgia, fatigue? Symptoms from these inflammatory conditions may also be alleviated by having sufficient levels of magnesium. WebMd states: "Magnesium is also used for treating attention deficit-hyperactivity disorder (ADHD),anxiety, chronic fatigue syndrome (CFS), Lyme disease, fibromyalgia, leg cramps during pregnancy, diabetes, kidney stones, migraine headaches, weak bones (osteoporosis), premenstrual syndrome (PMS), altitude sickness, urinary incontinence, restless leg syndrome, asthma, hayfever, multiple sclerosis, and for preventing hearing loss." Magnesium (and other herbs or supplements) do not heal you. So many essential body processes are reliant on adequate levels of magnesium. With proper supplements, we can balance out our body's systems and find relief. Our body can function as it is meant to function. We can be well. Your body can better utilize magnesium that is absorbed into the skin than through an oral supplement. That's why epsom salt baths and magnesium oil are so important! (magnesium oil isn't actually an oil at all. It is a solution of distilled oil and magnesium chloride flakes. Magnesium chloride flakes contain more magnesium than epsom salts and is more efficient in raising your magnesium levels). Adjusting your diet to contain more magnesium-rich foods is the BEST way to increase your magnesium levels, and, your wellness. Here's a great list of dietary sources of magnesium. Unless you are like our family and have allergies to: wheat, soy, multiple nuts, blood-diagnosed gluten intolerance, legume allergies, and more! *As always, I am NOT a physician and this is NOT medical advice. Please, research the topic (and follow the links in the comments) and discuss with your doctor if this may be a supplement that is right for you. This summer was tough on our meat birds. We had high hopes to raise enough pastured chickens for ourselves and have some to sell to family and friends. Yeah. That didn't work out well. Our first batch of chicks was a straight run (male and female mixed) of 25 birds ordered through a hatchery. That was our first mistake. Hatcheries raise birds for quantity not quality. I want to be in the business of quality. We lost a few chicks in the first few weeks, which isn't necessarily unexpected. It happens. The brooder was the perfect temp, the chicks weren't crowding and piling (which can suffocate the ones on bottom). My husband and I already feeling led to raise heritage breed chickens. Chicken breeds used during the Great Depression and earlier for meat and eggs both. Dual purpose birds with a long history. Chickens bred for quality and not quantity. We had our first losses to predators in our 6 years of keeping backyard chickens. We lost a few to weather (we had some flooding rains and high winds). We lost nearly an entire batch of meat chickens. We have 4 left. Unfortunately we'll be unable to sell an freezer birds this year. I'm thankful for the opportunity to raise some heritage birds and see how we like them. We do not mind sacrificing genetically-engineered size and short time to maturity to raise safe, happy, healthy meat for we feel safe feeding to our family. Yesterday was a tough market, weather wise. It was only our second market this season and it's one to remember. It was so windy 2 vendor tents were bent and ruined before we even opened for business. So we had to take them down. No tent. High of 85. No clouds. On blacktop for 6 hours. No chance of shade or sun avoidance (I had the kids sit under the tables until their dad could pick them up). I applied and reapplied sunblock and eventually found an old umbrella in my car to keep the sun off my already-damaged shoulders. My skin is feeling much better today and the angry redness has faded, for the most part. There are a few hard to reach places on the back of my shoulder that are a bit sore...but I know, from previous experiences, that I could be feeling so much worse! I am pretty sure I have learned my lesson. I'll have to cancel on future market days when there are damaging winds. Neither my products nor my skin fair well with the tent to keep us safe. The photo from facebook. No makeup other than lipgloss. I shared this photo on my personal FB page and started hearing a lot about my skin. Really? I never really though much about my skin...it's just... my skin. So, I thought it must have just been a lucky picture. Nice lighting, flattering colors and such. So I took another picture of myself during an evening walk just for comparison. (below) I guess I have an even skin tone, healthy glow, no acne or scars. Is it so unusually that people should comment? But then I started thinking and here's the thing... it's not really about skin care... it's health care. It's a lifestyle. And that lifestyle is noticeable in your skin. So, I will give you a run down of what I think is important for your skin as far as lifestyle, nutrition, and actual skin care. It's all about nutrition. No pop/soda. Water and herbal tea. Limited sugar. I eat clean (most of the time!). Lots of fresh, local, organic fruits and veggies. Grassfed meat. An abundance of healthy fats (nuts and seeds). Not much dairy. The only wheat I eat prepared with traditional sourdough starter and that's once a week at most. Frequent herbal infusions (Nettle is my favorite! It's a mild diuretic so it's helpful in keeping your kidneys flushed and happy, it's a nutritional powerhouse, fights allergies, and it perfect for balancing out 'womens issues'). I certainly splurge! Enchiladas, homemade pizza, ice cream, birthday parties, yum. Water, water, water. Staying hydrated is important for a lot of reasons, but lack of hydration is noticeable in your skin. Get movin'! I walk/run (intervals. I'm not a 'runner'. I don't train for races. I just like to keep moving). I generally walk 2-3 miles each day. This is unimpressive as far as it goes, but I'm getting stronger and faster. I also do yoga a few times a week. If you only have a few minutes to do one exercise, do squats. You'll be working major muscle groups. Good circulation gets blood and oxygen to tissues (like your skin) and keeps them healthy. Sun protection You'll notice the giant sunglasses and the sunhat in the pictures. I am vigilant, rather than paranoid, about sun caution. Sunglasses, sunhat, spend time in the shade (indirect sunlight), covering up (skimpier isn't better in the heat!). I never try to get a tan, but I spend a lot of time outdoors and as a result my skin will darken (ever so slightly) in the summer. Vit D is a good thing, skin cancer is a bad thing. Try to maintain a balance, knowing what you do about how your skin reacts to the sun. Natural sunblock is the way to go. Increasing your vit D intake can help you avoid sunburn, as well. Bare face I very rarely wear makeup. I like lip gloss and wear it when I leave the house. Sometimes I wear mascara or minimal eye makeup. This is just my personal preference. I am, however, very conscious regarding what makeup and ingredients I am willing to put on my face. Since I wear very minimal makeup (usually just to church) it works within our budget for me to purchase high quality, chemical free cosmetics. I wear 100% Pure cosmetics made from fruit pigments. Washing Everyone asks me what soap I use on my face. I am a soapmaker, after all. Yeah, well. I don't wash my face with soap. Your facial skin is incredibly sensitive and most soaps (all commercial skin 'cleansers') are too harsh, stripping away the natural oils. I use raw honey from our bees. (in the picture from my walk, I'm actually standing right next to our bee hives!) Raw honey keeps your skin balanced, moisturizing and cleansing without over-drying. Aloe is something else you can try. There are also some great herbal facial steams that would be beneficial. Moisturizing Since I do not use soaps or cleansers and do not strip away the natural oils of my skin I very rarely moisturize. On occasion, I'll use plain sweet almond oil (jojoba is also a good choice) or my Mom's Salve. I had a friend who was a baker from New York City and she used straight olive oil! Coconut oil is a popular choice, but not the best choice. The other oils I listed are non-comedogenic meaning they won't clog your pores or cause breakouts. Coconut oil is comedogenic - pore clogging - and can lead to more breakouts. That's probably not what you're hoping! So, the saying "Beauty comes from within" is even true in this sense. Beautiful skin is a result of what you put in your body just as much (or more!) as what you put on your body. All these little decisions add up. I hope this little rundown was helpful and makes you think. Thanks for putting up with my silly pictures! If you have any other questions regarding skin care, please comment here or on the FB page. Thanks! Hello, there! I'm Jill. Just Jill. Plain and simple. I'm a follower of Jesus, a wife, mother, daughter, sister, friend, home school teacher, business owner. We have numerous food allergies in our house so I often experiment in the kitchen. I also enjoy getting my hands dirty in the garden. Herbalist, plant lover, medicine maker, student of nature.